Waking up on a monday morning on the first day back at school after the easter holidays is not something I usually relish, but today there was a little sweetener to help me out of bed. 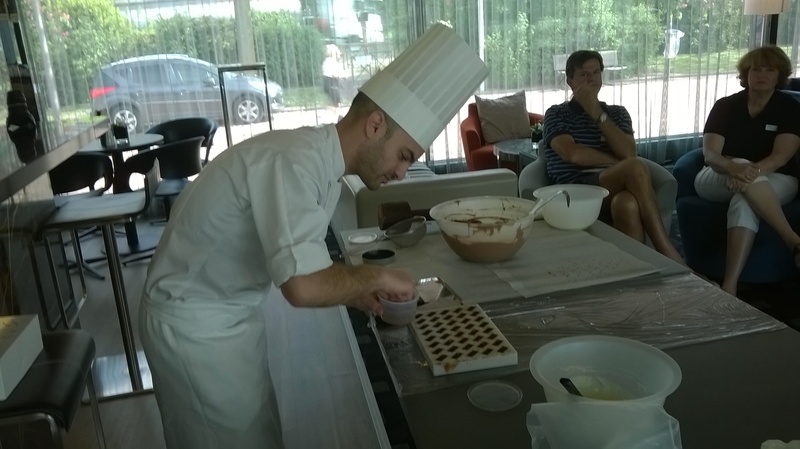 The INBP or Institute National de la Boulangerie Patisserie was holding a class on “chocolat” on the cruise boat “Scenic” at the Quay de Rouen and needed my help with the translation. 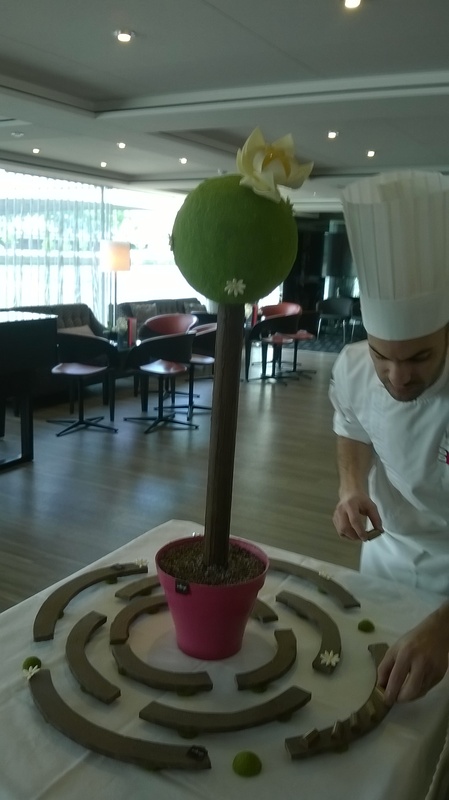 In the main function room of the cruise boat Frank, the chef, had set up all the equipment he needed for his “pièce montée en chocolat” or “show-piece” and was busy melting the chocolate before all the guests arrived. There was a discinctly chocolatey small in the air, and Frank gave me a sample chocolate to try – and with a welcome like that he’s clearly someone worth hanging around! First stage on the agenda was to make Vanilla Ganache bonbons. Frank dusted the inside of the chocolate moulds with real gold. We were all agog to know how he managed to powder the inside of the moulds evenly until he explained that he mixed the gold with alcohol at a ratio of 1:9 and sprayed a coating of the mixture inside the forms. When the alcohol evaporated, the mould retained the gold dust. The idea of digesting gold is not unknown in France. In 1531 Diane of Poitiers, mistress of Henri II of France drank, in vast quantities, gold infused beverages reputed to be the elixir of long life as a result of her obsession with eternal youth and supernatural beauty which rendered her complexion unnaturally pale. The discovery of her skeleton in 2009 showed that her bones contained an exceptionally high concentration of gold. Perhaps if we eat enough of these chocolates we will also become outstandingly youthful and beautiful, it’s definitely worth a try! Having powdered the moulds Frank went on to line them with a thin coating of molten chocolate. Patisserie is a science, he told us, and chocolate should be worked not at 28.7, nor at 31 but at an exact temperature of between 29 and 30°. For the novices amongst us, a matter for a thermometer, for Frank a simple matter of touching the chocolate against the back on a finger. 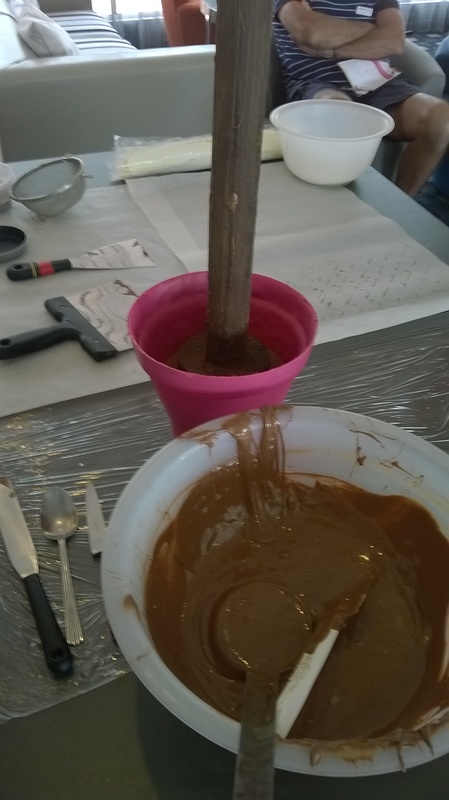 Frank scraped the mould with his spatula, and inversed it to allow the excess chocolate to fall back to the table and not to pool in the bottom of the mould. Today Frank had a possey of aides, one of whom rushed off with the mould to the fridge. Meanwhile he set about making the vanilla ganache filling. Into a bowl of melted white chocolate he poured, via a sieve, a mixture of boiled milk, cream, sugar and split vanilla pod. He incorporated the two thoroughly and set them aside to cool. 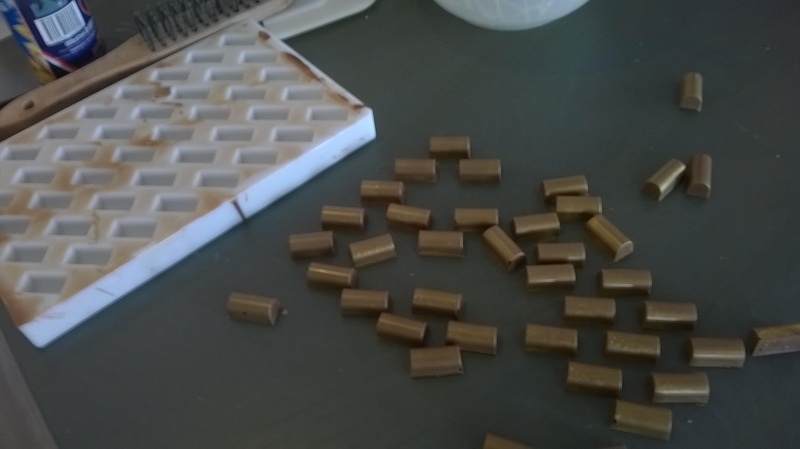 Ideally, he said the mould of chocolate casings should be left overnight to cool. Frank sprinkled each casing with finely ground caramelized sugar, the recipe for which can be found at the end of this post, and then filled the casings with the Vanilla Ganache ensuring that it settled just below the level of the chocolate shell. Again he called upon one of his aides, who rushed the mould back to the fridge and we all agreed that this was better than a TV cooking show! 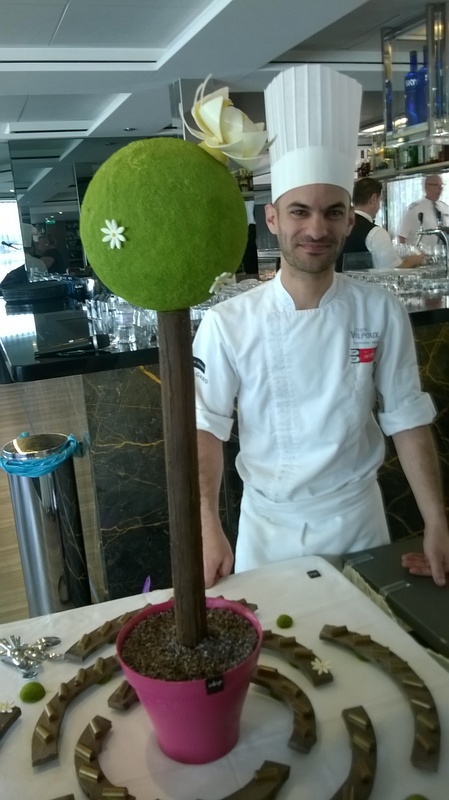 The INBP are renowned for their entry into national concours, or competitions, and an essential element of the concours is the “pièce montée” or “presentation showpiece”, and Frank took the art of chocolaterie to an all new level. 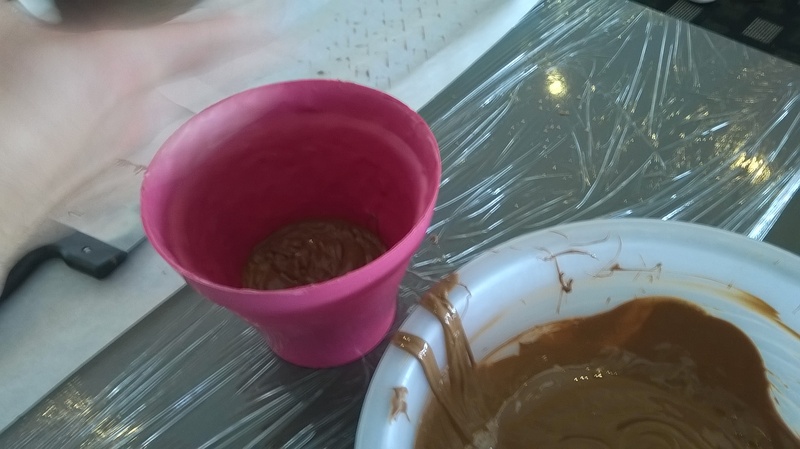 For sometime a pink pot had been sitting on the workbench, and as he began talking the realisation slowly dawned on us that this was no orginary pink plastic pot, but made entirely out of chocolate. None of us were rude enough to take a bite out of it to verify that he was telling the truth! Moments later he presented a brown wooden stem which he fixed in the pot with a generous quantity of molten chocolate. Having got to know Frank a little, we divined that this could well also be made of chocolate, and he confirmed that he had made it by lining a plumbing tube from his DIY store with cooking paper and pouring in yet more molten chocolate. Frank proceeded to pour into the pot ground cocoa beans which remarkably resembled fine grit gravel. 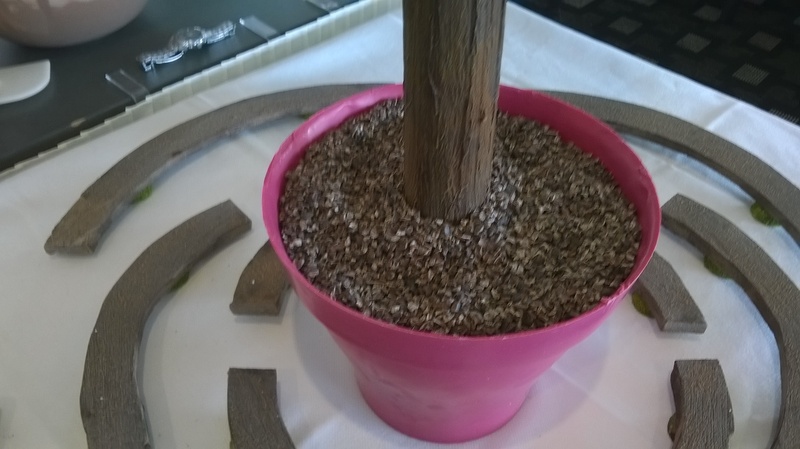 The little brown rings that surrounded the pot were also chocolate textured by brushing with a wire brush! 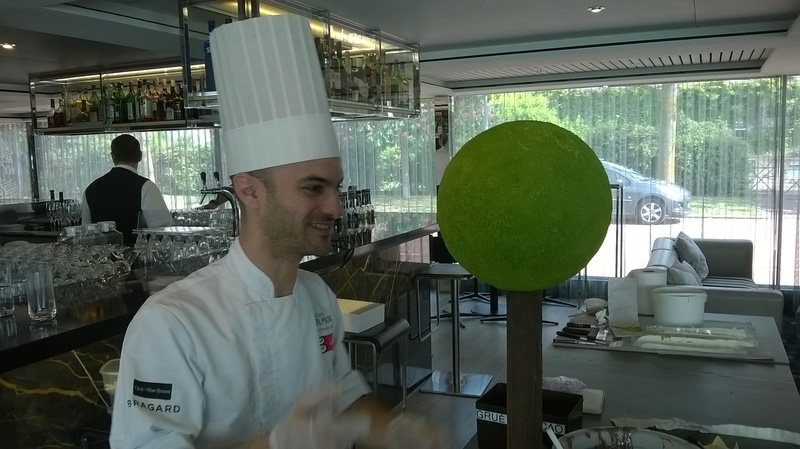 Next Frank retrieved a green fuzzy ball from a box on his work-bench, and by this point we were all shreaking out in great amusement that the ball had to be chocolate; and it was, a hollow ball rolled in cocoa-butter and afterwards with green sugar for texture. 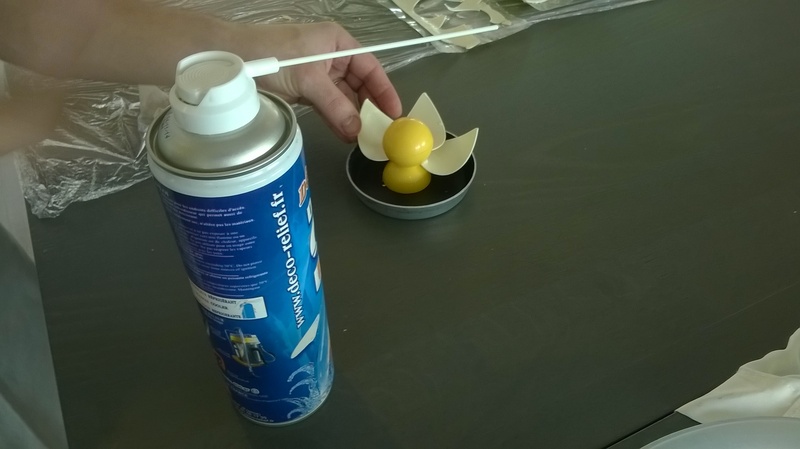 There was a call for some help, and one of the guests helped place the ball onto the chocolate stem, rapidly cooling the chocolate “glue” with a dry-ice canister. 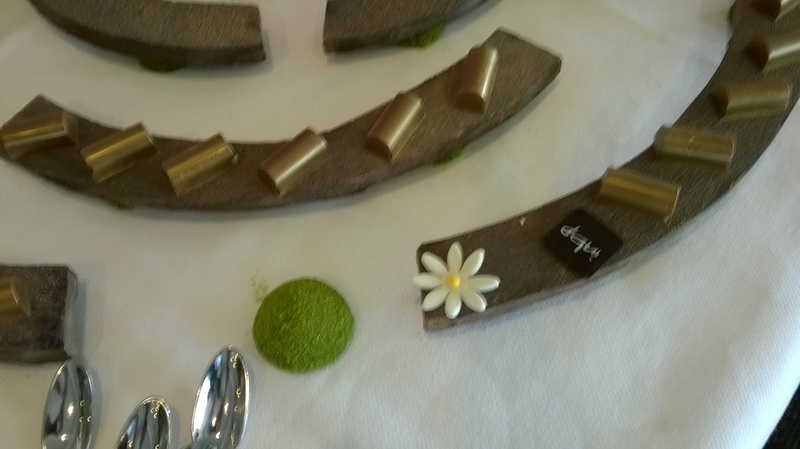 If we weren’t astonished enough, Frank decided it needed decoaration, and made a water-lily flower out of chocolate pieces, wonderfully appropriate for the land of Monet…. 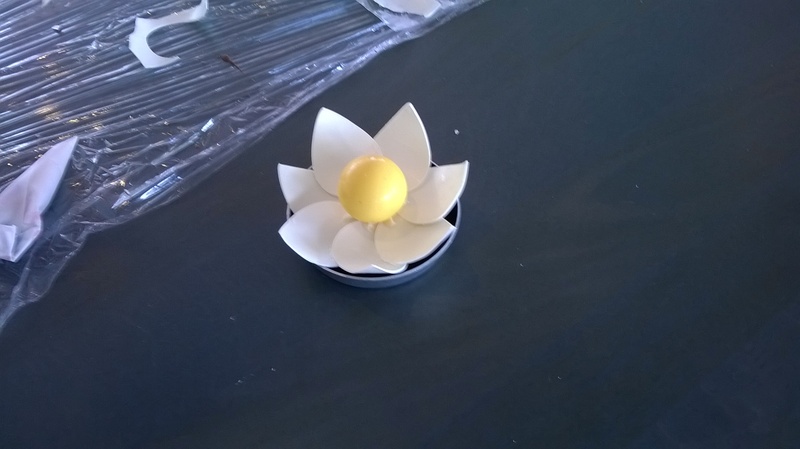 ….and some smaller flowers from sugar dough which he got a volunteer to help place onto the ball. Having poured another layer of molten chocolate to seal the ganache into the refrigerated “bonbons” and chilling them again in the fridge, Frank was ready to assemble his “pièce montée”. When it was done he laid out all the Vanilla Ganache chocolates on the chocolate stands below. Needless to say, nobody stayed in their seats very long, and it was very lucky that Frank had made a huge quantity of Vanilla Ganaches earlier, (he said he’d been up half the night) because a pretty large number of the audience were heard counting up how many they could have and were planning their raid strategy before Frank had even laid out the first lot! I, for one, was pretty glad to be the translator, because I was much closer to the table than the rest of the crowd which definitely gave me the advantage! For the receipé click here.